Another deadly earthquake that killed at least three people and injured dozens of tourists on Lombok Island, West Nusa Tenggara (NTB), on Sunday raised concerns over the province’s readiness to revive its tourism following a series of deadly earthquakes last year. The Tourism Ministry and relevant authorities have maintained confidence that the latest deadly earthquake would not scare off tourists, saying the 5.4-magnitude earthquake that jolted the resort island would not affect the island’s accessibility, facilities and attractions. The earthquake, however, did affect tourist destinations in North Lombok, including Sendang Gile and Tiu Kelep Waterfalls in Senaru, Bayan district, in which most casualties were recorded. The quake did not affect access to the region through Zainuddin Abdul Madjid International Airport. “Sea access through Kayangan, Gili Mas and Labuhan Haji seaports remain normal," Ministry spokesperson Guntur Sakti said in a statement on Monday. 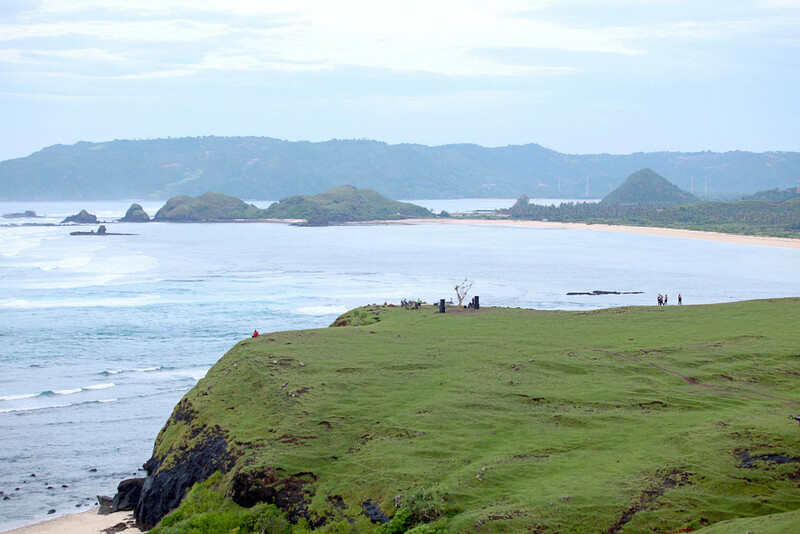 Land access to North Lombok was affected as a crack appeared on the footpath heading to Tiu Kelep and Sendang Gile, however accommodation and other supporting facilities in the region were not affected, Guntur said. The official shared the same confidence in East Lombok. Although the earthquake affected a number of areas, including Montong Gading, Sambeli, Sambamun and Aikmel, major infrastructure has remained intact, Guntur claimed. The Indonesia Tourism Development Corporation (ITDC), the authority of the Mandalika Special Economic Zone (SEZ) in Central Lombok, also said Sunday’s earthquake had not affected the area, which had been named the location for the MotoGP 2021, according to the ITDC’s general affairs head, I Gusti Lanang Bratasuta. “Tourists’ interests [in the region] remain the same,” he said. The NTB administration has guaranteed the safety of tourists visiting Lombok and Sumbawa, provincial tourism agency head Lalu Mohammad Faozal said. “Disasters can happen anywhere. The most important thing is that we are ready to deal with them and provide the best services to tourists,” Faozal said. A 5.4-magnitude tectonic earthquake jolted East Lombok regency at 3:07 p.m. local time on Sunday, triggering a landslide in Lombok regency, killing at least three and injuring some 30 others, most of whom were tourists. Two Malaysians were confirmed dead, The Strait Times reported. A joint team comprising personnel from the National Search and Rescue Agency (Basarnas), the police, military and others recovered the body of Malaysian citizen Lim Sai Wah, 56, a female tourist buried in the landslide in Tiu Kelep Waterfall, on Monday. Twenty-four tourists, including dozens from Malaysia, were injured. “The Tourism Ministry will provide assistance to fly them home on board a Garuda flight from Lombok to Jakarta, then to Kuala Lumpur,” said Faozal, adding that representatives from the Malaysian Embassy had also arrived in Lombok. Sunday’s earthquake struck after a 7-magnitude quake devastated the island in August 2018. The island has not yet fully recovered from the earthquake that destroyed thousands of houses and buildings. “We have cooperated with [private airline] AirAsia to open the Perth-Lombok route starting in June,” he said. The earthquake on Sunday also damaged a number of houses in East Lombok, according to NTB Disaster Mitigation Agency head M. Rum, with Montong Gading deemed the worst hit district in the regency. “At least 30 people were injured and 3,840 buildings [in the area] were damaged,” Rum said, Monday. The ministry, according to Guntur Sakti, would continue to monitor the impact of the earthquake in Lombok as well as the deadly flashflood in Sentani, Papua. Should authorities consider the scale of disaster to be a threat to the tourism ecosystem, the ministry’s tourism crisis center (TCC) would be promptly activated.